At forty Beulah Hamilton never expected to find love, but she did have to find a new home. After her father, Colonel Hamilton passed away she could no longer stay in the military housing that she had known her entire life. Seeking a way to eke out and existence the efficient woman decides to become a mail-order-bride. Her entire life had been dedicated to the care and well being of her demanding father, how much more difficult could being a wife possible be? Silas Martel, a quiet unassuming shop keeper has spent his life caring for his ailing mother. His whole life dictated by the needs of a woman unhappy in her circumstances and plagued by pain. After his mother’s passing, he seeks to find a woman who will understand his quiet ways and who enjoys the modern conveniences of the new era. Will assumptions and misunderstanding keep them from learning to love or will unforeseen problems bond them in a way they have never expected? The Mistress of Pennington's: Can a woman succeed in a man's world? Beulah is a strong, competent, self-assured woman, who became a mail-order bride at 40 years of age. Think of the bravery that must have taken! She moved to Helpful, Utah, and met and married Silas in the same day. He’s an interesting character, owns and runs the general store and loves new things, like bathrooms, a hand mixer, an electric iron, and even a pressure cooker. What year is this? Who knows, but this is a quick sweet read with some surprises I enjoyed. We need stories of the past and this fits the bill. Beulah Hamilton has followed her father from post to post, taking care of him and their military home since her mother died. When her father also dies, she is forty - long past marriageable age. 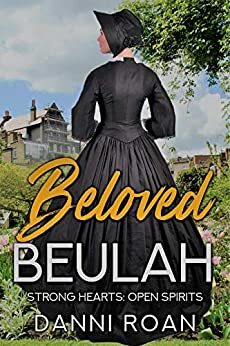 Having to vacate their military housing quickly and with nowhere to go, she accepts becoming a mail order bride to a man who had been his mother’s caregiver in her long-term illness and then death. Beulah’s father has taught her to have a lot of backbone, but this new venture leaves her vulnerable. However, she’s determined to remain hopeful that things will work out. I thought the story had merit, but it was riddled with mistakes and never reached a deep level of development that drew me in completely. It didn’t follow through on several points and definitely needed a stronger ending. I gave it 3.5 stars, which rounded up to a four. 5.0 out of 5 starsA happily ever after for a never married middle aged couple. Beulah's father is a career military man. When he passes she has to vacate their house, she answers a letter to be a mail order bride. Silas is also a middle aged person who has never been married. Is it possible for them at their age to find love or only companionship? Everyone deserves a happily ever after. Recommend this book to Western Historical readers. Story is great had me from page one. The characters have a depth that made them come to life. This is a nice, short read about finding love at 40 & 45 years old and learning to adjust. It has good characters, a nice story flow of Beulah, a mail order bride, but ohhhhhh so many mistakes. Even the book cover does not match the description in the book. Beulah was 40 when her father died.. Since he was a military commander they lived in company housing. Beulah had to move quickly. She decided to become a mail order bride and visited a matchmaker because of her age and she had never been married before. She received a letter from a man a few years older than her, and had a mercantile store with an attached home. This is a sweet romance of a couple that were older than the normal couples seeking marriage. Lovely story!